Thursday 1st November – Australian Market Wrap | Beeks Downunder-Because not all financial news is boring! Gonna go the full Burt!!! ASX 200 rises and falls on banks sentiment. Closes up 10 to 5841. High 5877 Low 5832. Unable to hold rally. 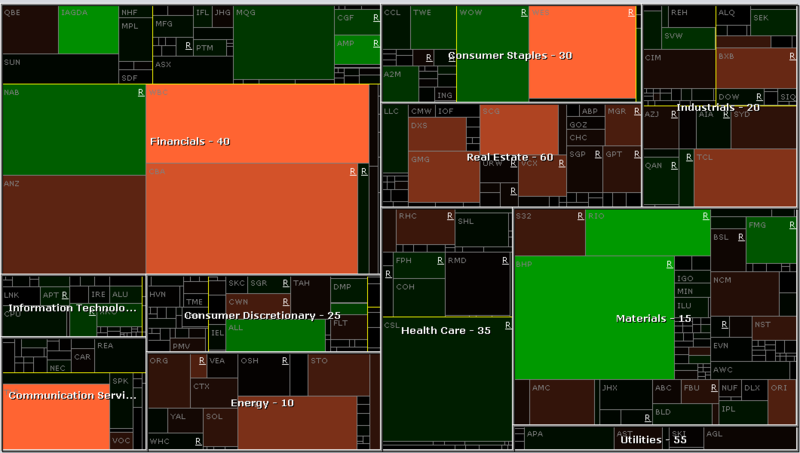 Market looks tired and focussed on US midterms. BHP lights up after buy-back announced. Macquarie handles $442m block trade in BHP. Banks turn soggy again. Golden Era is over. Energy and telcos under pressure. AUD firms to 71.36c on trade numbers. Beat forecasts. Asian markets mixed with Japan down 0.71% and China up 1.74%. CTD +11.32% brokers back company. Oversold yesterday. HUB +8.12% new CFO cheers market. AMP +6.88% capital management issues in the spotlight. Bid rumours. SYR +7.50% rally continues after a recent fire. WGN -10.64% AGM address and presentation underwhelm. VOC -4.66% telco sector under pressure. Maybe the CPI numbers yesterday. TLS -1.95% to offer drones in mobile packages as part of 2022 strategy. LOV -3.26% all out of it. ORE +11.71% short squeeze on good quarterly. CWN -2.00% on track for 2021 Sydney opening. KDR +16.50% offtake agreement with Mitsui. Speculative stock of the day: Race Oncology (RAC) + 80.95% after announcing an agreement with Biosynergy Partners LLC to pursue licencing deals for its Bisantrene cancer treatment. Great volume too. Biggest fallers – WGN, ASL, PPC, VOC, CWY and VOC. Afterpay Touch (APT) +3.76% Completes sale of European e-services business. Received $4m upon completion and will receive another $3.5m within six months. Ausdrill (ASL) –9.91% Reiterates FY19 earnings guidance of 20-30% underlying profit growth, having delivered strong Q1 performance in line with expectations. This is before taking into account Barminco acquisition but allowing for the cessation of the Edikan contract. National Australia Bank (NAB) +0.56% FY cash earnings hit by restructuring and remediation costs. Net profit was up 5.1% to $5.55bn. Cash earnings fell 14% to $5.7bn, in-line with analyst expectations according to the Wall Street Journal. Taking out the restructuring and remediation charges, cash earnings fell 2% on the back of higher investment spending. A final dividend of 99c was declared. BHP Billiton (BHP) +2.79% Has completed the sale if its onshore US assets for a gross consideration of US$10.5bn. BHP plans to return $10.4bn to its shareholders through a special dividend and off-market-buy-back. Woolworths (WOW) +0.95% First quarter sales report. Overall sales were up 1.9% to $14.8bn. Australian Food sales were up 1.9% (comparable sales +1.8%) driven by the removal of single-use plastic bags. Endeavour drinks sales grew 3% (comparable sales 1.7%), BIG W sales up 1.3% (comparable growth +2.2%) and ALH hotel sales were up 0.5% (comparable sales +1.2%). Credit Corp (CCP) +4.62% Upgrades FY PDL acquisitions guidance at its AGM, now expected to be between $170-190m up around 12% from previous expectations. NPAT and EPS guidance reaffirmed. HUB24 (HUB) +8.12% CFO Matt Haes to resign, Mark Goodrick to take over the role. Goodrick is currently the CFO at Atlas Arteria and at Macquarie Infrastructure and Real Assets (MIRA) Australia. PM Morrison speaks at Asia Briefing. 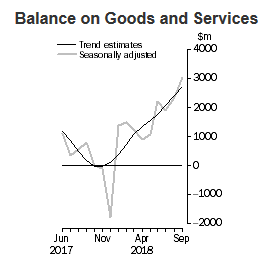 In trend terms, the balance on goods and services was a surplus of $2,707m in September 2018, an increase of $308m on the surplus in August 2018. In seasonally adjusted terms, the balance on goods and services was a surplus of $3,017m in September 2018, an increase of $675m on the surplus in August 2018. The Export Price Index rose 3.7% in the September quarter 2018. This follows a rise in the June quarter 2018 of 1.9%. The main contributors to the rise are higher prices for Gas, natural and manufactured (+12.9%), Metalliferous ores and metal scrap (+3.6%), Coal, coke and briquettes (+4.0%), Cereals and cereal preparations (+12.9%), and Petroleum, petroleum products and related materials (+6.5%). Through the year to the September quarter 2018, the Export Price Index rose 14.0%. The main contributors to the rise are Gas, natural and manufactured (+39.8%) and Coal, coke and briquettes (+21.9%). 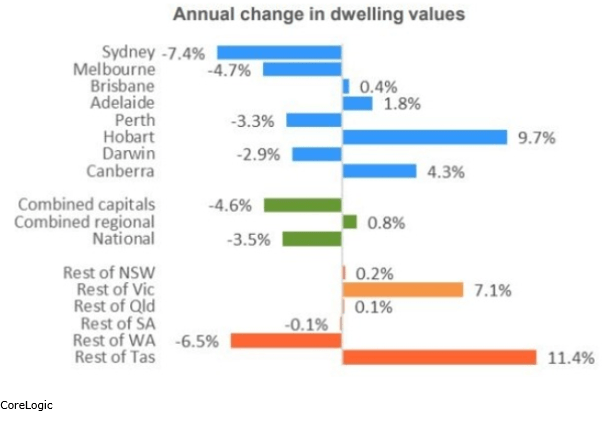 House Prices continue to fall according to CoreLogic – Sydney and Melbourne the biggest losers. 6-year low. National Decline now 3.5% on tightening credit conditions. Lion Airways black box found. China’s manufacturing sector eked out mild growth in October as export sales declined for a seventh consecutive month according to a private survey. China has signalled that it is looking at more measures to stimulate the economy. Few things on the agenda. Tax cuts, corporate tax cuts, off-budget spending, reserve ratio requirement and special bond issues. Taiwan’s manufacturing activity contracted for the first time in more than two years. The US groundskeeper that successfully sued Monsanto, and by default Bayer, has accepted a reduced offer of damages. UK now expects a Brexit deal by November 21st. Dreaming. Jaguar Land Rover is facing more job cuts after announcing a GBP350m loss on a slowdown in China and dragging its heels on new clean technology rather than diesel engines. Here’s a tip…if you are driving near a cemetery and using GPS do not be alarmed when it says ‘you have reached your destination’. We all will.